During a recent dining experience, we did. And you'd be surprised by what we discovered when analyzing other brands' forks and from the same collection and type. One of the easiest ways to spot inferior flatware is to stack one fork on top of another. Do the tines from one fork stick up at a greater degree than the other fork? 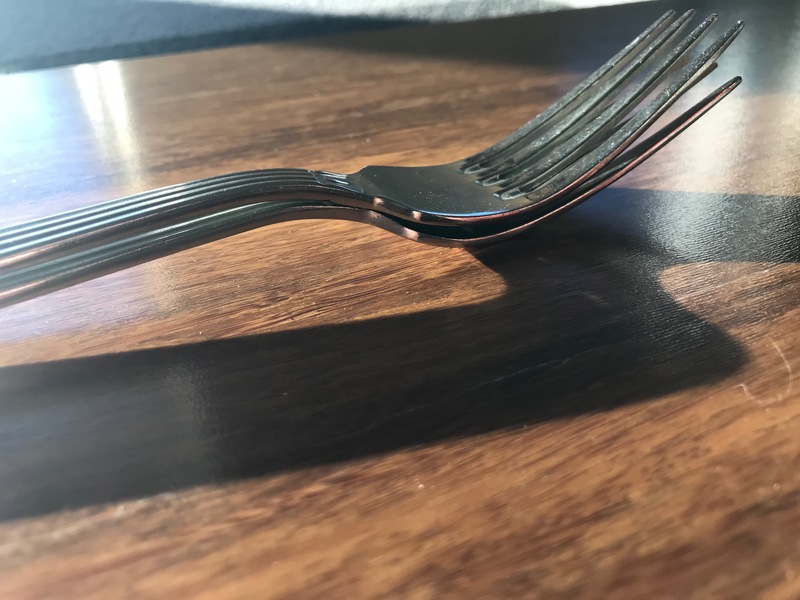 If two similar pieces do not stack in the same way, you've found an easy indicator of inferior flatware. Tines are really the easiest indicator. 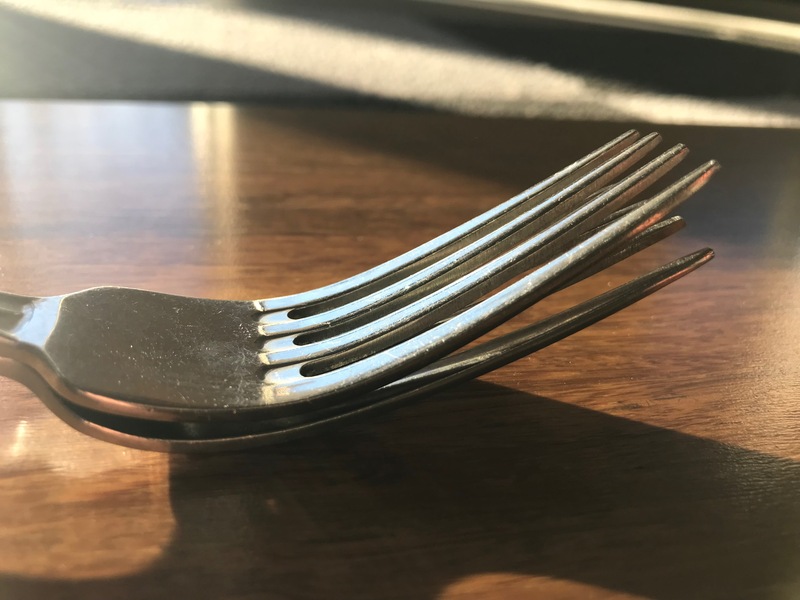 As we just mentioned how forks stack up to one another is largely dependent on the angle of the tines, but that's not the only thing to look for. When you put two forks tines-to-tines, is one set wider than the other? What about length? 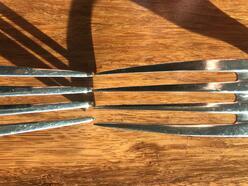 If the base of the forks are matched up, does one set of tines extend beyond the other set? Beyond the tines, check out the handle. Are the molds identical? 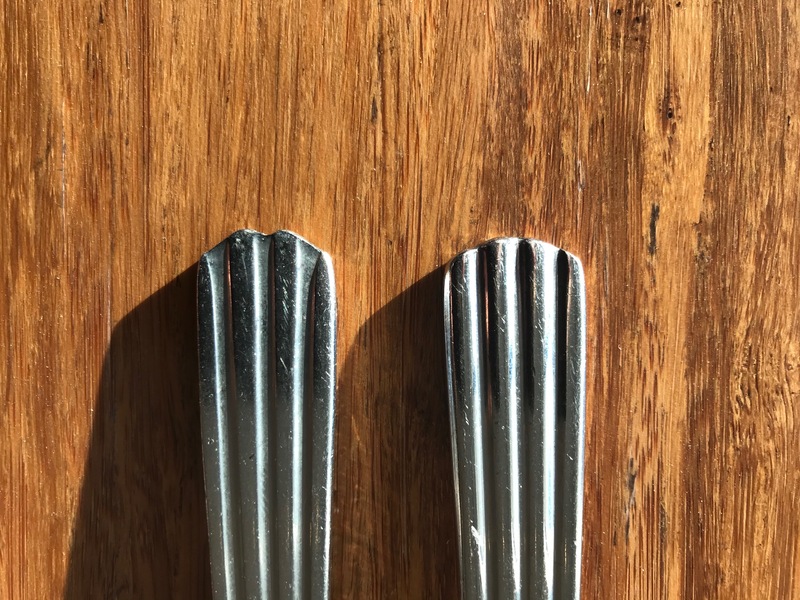 Try to notice if one handle is wider than the other or if one flatware pattern doesn't exactly match up to the "identical" pattern of the other. In some cases, flatware collections might even be made from different compositions! For example, align two forks side by side. If it's an inferior product, you might see one fork made from 18/10 grade stainless steel, while the other is made from 18/8. 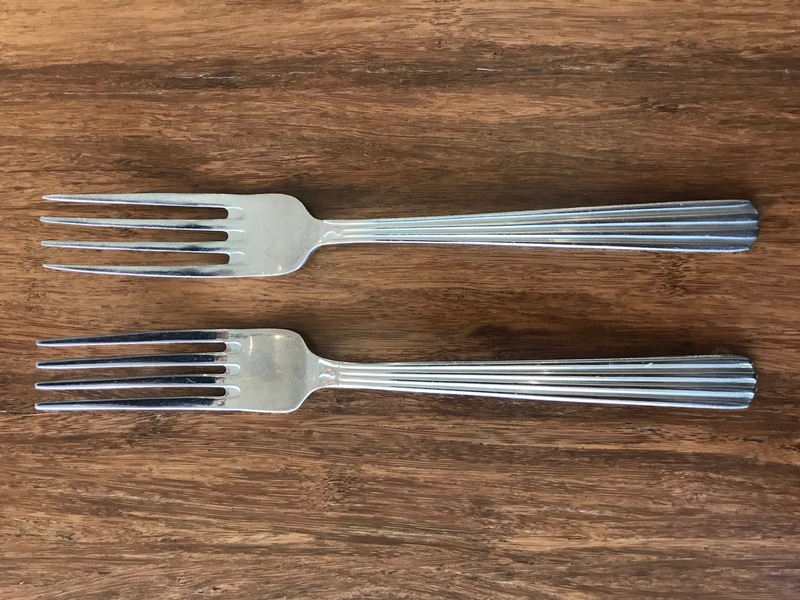 Why do two forks from the same collection look different? The reality is not all manufacturers use the same standards during production, and not everyone uses the same quality control standards after manufacturing. As a result, a collection could be produced by a variety of different factories, using different materials, with different levels of inspection. At BauscherHepp, our lines of WMF and HEPP flatware are created with the highest of standards in place. We manufacturer our products with high-quality materials and designs, and even more important, we have a large team of inspectors who review all of our products before they get in your customers' hands. Selecting flatware and cutlery can be a confusing process, but here's a resource that can help. We put together a brief but comprehensive flatware selection guide, that walks you through the basics of choosing your flatware. From materials and construction to weight and design, be sure to review the right information in order to make the right decisions.